You will earn 657 Reward Points. Earn 1 reward point for every 1 dollar spent. 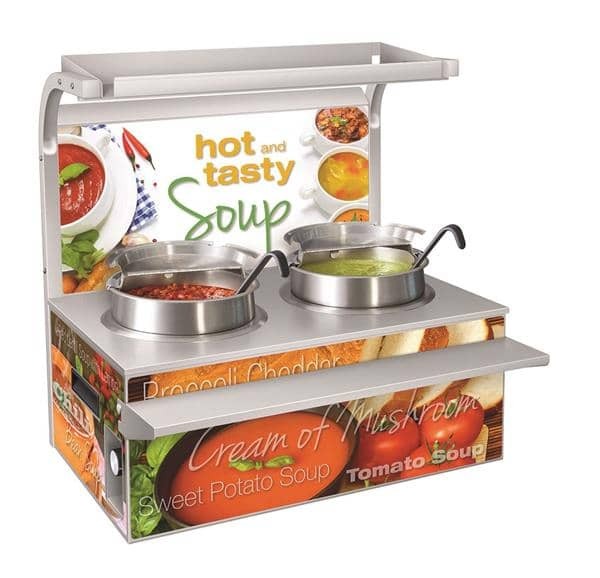 Hatco's Soup Station is designed to provide an attractive appearance while holding preheated soups at safe serving temperatures - whether it's front of the house, self-serve kiosks or catering. Heat is evenly distributed throughout the unit to hold foods at desired temperatures and the insulated stainless steel design provides easy maintenance and durable performance.